Cathy Liontas lives in Milford with her husband and son. She recently switched careers, having been an Art teacher for the last 17 years, and now paints full-time along the beautiful coast of New England or in her studio. 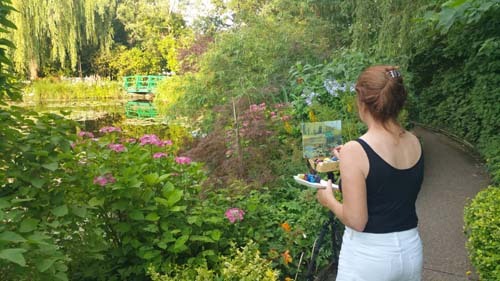 Her work features ponds, marshes, waterways and various landscapes. She is an active member of the Milford Arts Council.